Lastly, it is important to remember that Hungary business culture revolves around cold results. Always remember to put your best foot forward. Did you know about Hungary? Hungarians are 9th in the world in terms of number of Olympic medals won. I am interested in registering a company in Hungary. How many directors do I need to appoint? For company registration in Hungary, at least 1 director must be appointed. I am interested in starting a business in Hungary. How many shareholders must my firm have? In order to register a new firm in Hungary, only 1 shareholder is required. 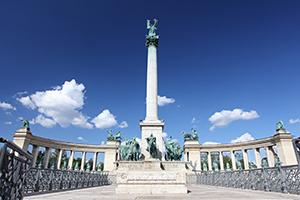 Must my firm have a resident director or shareholder in order to open a company in Hungary? No. It is not mandatory to have resident directors or shareholders. What must the minimum paid up share capital be if I need to register a business in Hungary? When registering your business in Hungary, you will be required to deposit € 1,640. I am interested in Hungary subsidiary company registration. Can Healy Consultants help me? Yes. Our services include i) company registration ii) business license registration iii) immigration solutions iv) employment strategies v) business banking solutions and vi) office rental requirements. Healy Consultants’ experts are Hungary company registration specialists and will assist our Clients at every step. How long does it take to incorporate a Hungarian company? Registering a Hungarian company will take about three weeks. How difficult is it to open a corporate bank account for a Hungarian company? For a Hungarian company, opening a corporate bank account with a reputable international bank is simple. Am I required to visit Hungary to incorporate a company there? No. Healy Consultants can legally incorporate your Hungarian company without you needing to travel. What is the minimum number of directors required for a Hungarian company? Under statutory regulations, a Hungarian company requires a minimum of one director. A Hungarian company does not require a resident director. What is the minimum number of shareholders required for a Hungarian company? A Hungarian company requires a minimum of one shareholder. What are the minimum capital requirements for a Hungarian company? A Hungarian Limited Liability Company requires a minimum share capital of HUF500,000 or approximately 1,800 Euros (US$2,300). Is a Hungarian company required to submit an annual tax return and/or financial statements? A Hungarian company is obliged to submit an annual tax return and/or financial statements. The accounts have to be audited. What are the tax implications of a Hungarian Company formation? A Hungarian company is liable to pay a corporation tax of 10% to 19%. Since 2010, the solidarity tax of 4% has been removed. Does a Hungarian company benefit from double taxation treaties? Hungary has signed double taxation treaties with more than 60 countries. Countries included are Australia, Singapore, India, France and the USA. Low cost manufacturing in Central Europe! Central Europe corporate banking options? South European tax exempt countries comparison! Success tips when doing business in Hungary!